Glass Dome display will hold 8 military challenge coins. The glass dome is 4" wide & 4" tall. Glass Dome display will hold 8 military challenge coins. The glass dome is 4" wide & 4" tall. The total height with the base is 5" tall. The walnut base is 5" in diameter. The display has 2 disks with four slots for coins 1 ½” -2” coins (coins not included). Military and Civilian Challenge Coins have a rich history, and if you want to proudly display your Challenge Coins, order a glass dome display case from Flags Connections. 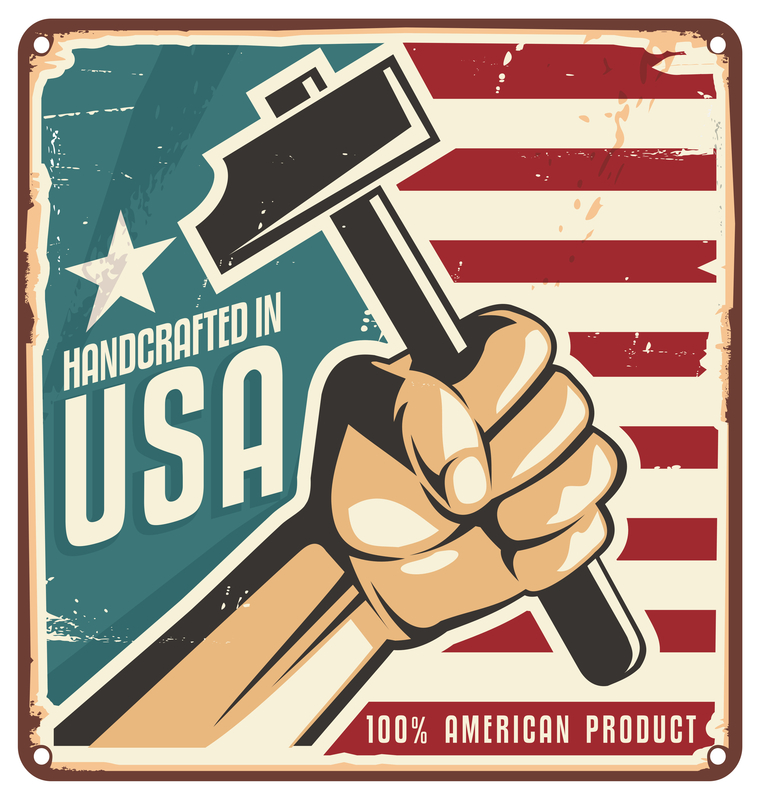 Each glass dome case is made in the USA and has the ability to display Challenge Coins from any angle in the room. These coins were originally offered to high-ranking officials in the military, but have recently been offered to the public sectors. The tradition of the challenge ensures that every member of the unit carries their Challenge Coins with them at all times. The rules can differ from organization and only applies to members of the army, navy, air force or marines who have been awarded Challenge Coins. The Coin Challenge was created to boost morale in the unit. Challenges can happen at any time and begin when a challenger slaps or places his or her coin on a flat surface. If someone accidentally drops a Challenge Coin, it is considered a challenge to everyone present. During the challenge, everyone has to show their Challenge Coin, the inability to do so means that he or she must buy a round of drinks. If everyone is able to produce their Challenge Coin, then the challenger has to buy a round of drinks for everyone in the group. Challenges can happen anywhere and some rules allow a person to step and reach to obtain their Challenge Coin. This is extremely useful if a member of the military is challenged while taking a shower. 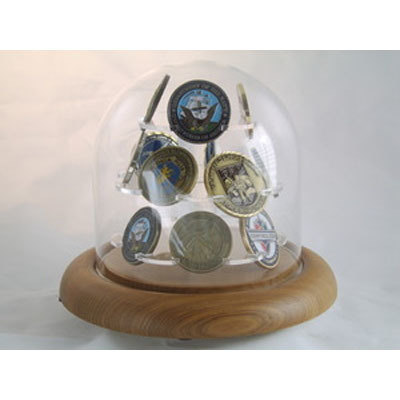 The M8 Challenge Coin Glass Dome Display from Flags Connections can hold up to eight military or civil service Challenge Coins. These high quality Glass Dome Challenge Coin cases display nicely on a shelf or table and make the perfect gift for friends and family members who have served in the military or held civil service. The elegant wood base of the M8 Challenge Coin Glass Dome Display from Flags Connections features a 4" wide by 4" tall glass dome. The total height, with the wood base, is 5" tall. The diameter of the wooden base is 5" around. The M8 Glass display has two disks with each disk containing two slots for 1/34" and up Challenge Coins, and two slots for Challenge Coins that measure 1 ½” to 1 7/8” in size. Order your M8 Challenge Coin Glass Dome Display from Flags Connections today and your order will usually be shipped out the next business day in the United States and Canada.